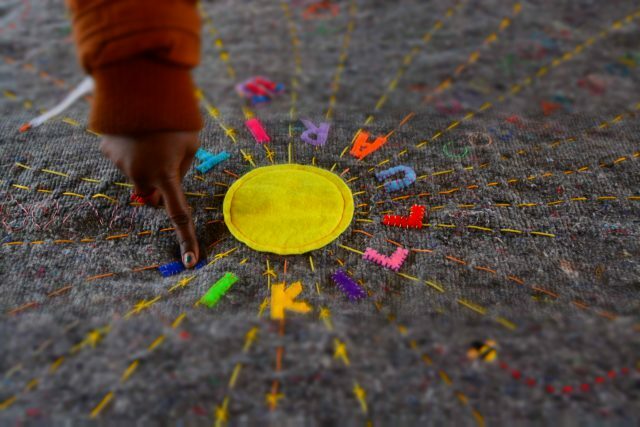 Commorance explores belonging through relationships and was developed in collaboration with staff and residents of the homeless shelter and activity centre Sundholm while working as Copenhagen Artist in Residence (CP AIR) hosted at Fabrikken for Kunst og Design in Copenhagen, Denmark. The term ‘commorance’ refers to a temporary space of habitation and the act of dwelling in place. Working in collaboration with the textile and carpentry studios at Sundholm, Smith developed a mobile structure that unfolds from the front of a customised Christiania bicycle to provide a communal workshop space for the production of blankets to be mobilised on the streets in the neighbourhood. Collectively contributed to, the blankets are woven with words and sayings (in English, Danish and Greenlandish) that make people feel at home. 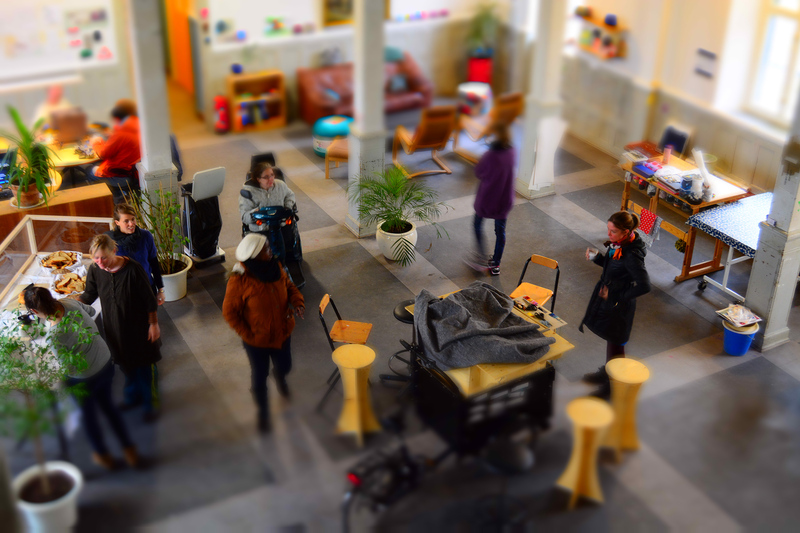 The work creates a location for collective making: bringing residents, workers and visitors to the neighbourhood together, to dwell on the possibilities of language and exchange the words that make them feel welcome. The work was launched through an event on 26 March 2014 with all people from the neighbourhood invited to use the space together.